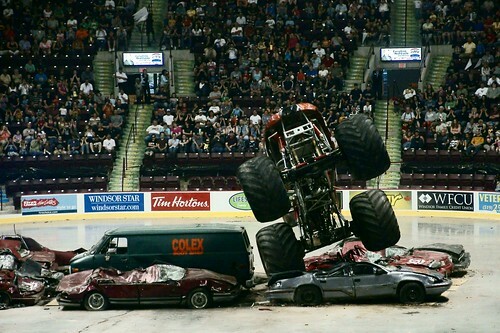 Monster Spectacular is returning to the WFCU Centre in May. Today is the last day to get discounted tickets through windsoriteDOTca for this event!! Regular priced tickets will be on sale this Friday February 19th at 10AM. Ticket prices will start at $16 for children and $23 for adults plus convenience fees, however the WFCU Centre is offering windsoriteDOTca readers a chance at an exclusive presale which runs until this Thursday at 10pm! Want to buy discounted tickets? Click here. Enter the code AVENGER and you’re off to the races!